Welcome to the Setra Systems Blog! This blog is developed and maintained by the experts at Setra Systems Inc, the leading designer and manufacturer of sensing devices including pressure, humidity, current and vacuum. Our blog posts will feature technical information, best practices, industry information, examples of how professionals are using sensing devices and more. 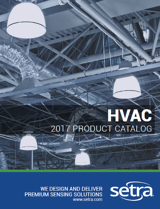 Articles will be focused around the applications in which our products are used as well as providing valuable information for those looking to learn more about the HVAC/R and Industrial industries we serve. Please feel free to comment or contact us with any questions or feedback you may have. We'd be happy to talk with you. Thanks, and we look forward to your comments!